Meet some of our employees! 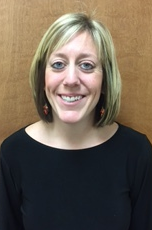 Our office manager, Nikki VanDyke, has been with Illiana Eyecare for almost 2 years. Her passion, smile, and laugh is seen every day in the office. We thank Nikki for taking care of patient’s eyes like they were her own. Why did you decide to work at Iliana Eyecare? I wanted to work somewhere that had a “family” atmosphere, and also wanted a position where I could help people in some way. I love doing specialty contact trainings with patients. Seeing their excitement to see is amazing. Be happy, smile often, enjoy the small things. Working with a great group of women as well as helping patients pick out a great frame. We care about our patients, and strive to improve their vision.